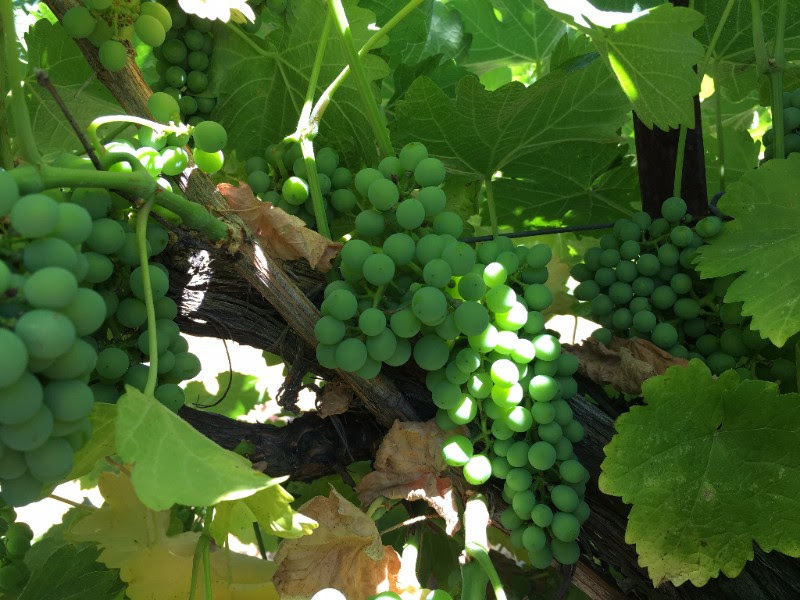 As the growing season in the Paso Robles Appellation progresses we are quickly moving through the fruit set stages in the vineyards. Usually in the months of May and into early June, fruit set starts to occur when flowers on the vine start to form into berries; the berry forms around the seed as it’s protection. Not every flower gets fertilized and eventually will fall off of the vine. This is referred to as self-thinning, which naturally allows the crop to regulate its production for the year. During fruit set, the grapes are green and hard to the touch. These stages are an important part of the annual growth process because it determines the crops production for the year. We are projecting a healthy, happy crop this year and very much look forward to sharing it with you! Follow our educational newsletters to learn what’s going on in the Riverstar Vineyards throughout the year.